Coconut Blossom Sugar is a real delicacy: besides its super delicious, exotic caramel-like aroma it also offers many beneficial nutrients. It also contains many vitamins and essential amino acids which makes it one of the most nutrient-rich sweeteners there is. Use this syrup instead of agave syrup or honey and refine desserts, juices or cocktails with our aromatic Coconut Blossom Syrup. In Asia coconut blossom sugar has been the sweetener of choice for centuries. It is mixed with water to get a refreshing drink and used for cooking and baking. 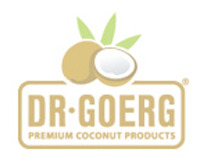 In contrast to many other products, Dr. Goerg Premium Organic Coconut Blossom Sugar is naturally pure and is produced withouth any artificial colors or preservatives. It is obtained from monitored organic cultivation and is produced in a time-consuming manual process. To get hold of the valuable coconut blossom nectar, the Philippine farmers have to ascent to lofty heights to cut the inflorescence. They take special care not to cut more than one inflorescence per palm tree in order to retain the tree’s strength and health. That way the palm tree can still grow an abundance of coconuts. The harvested nectar is then gently boiled down manually. This time-consuming process requires a lot of experience and sensitivity to the crystallization of the sugar. This complex procedure ensures the premium quality of Dr. Goerg Premium Organic Coconut Blossom Sugar. You’re not sure how to use coconut blossom sugar in your daily cooking? Have a look at our recipes and allow yourself to be inspired!